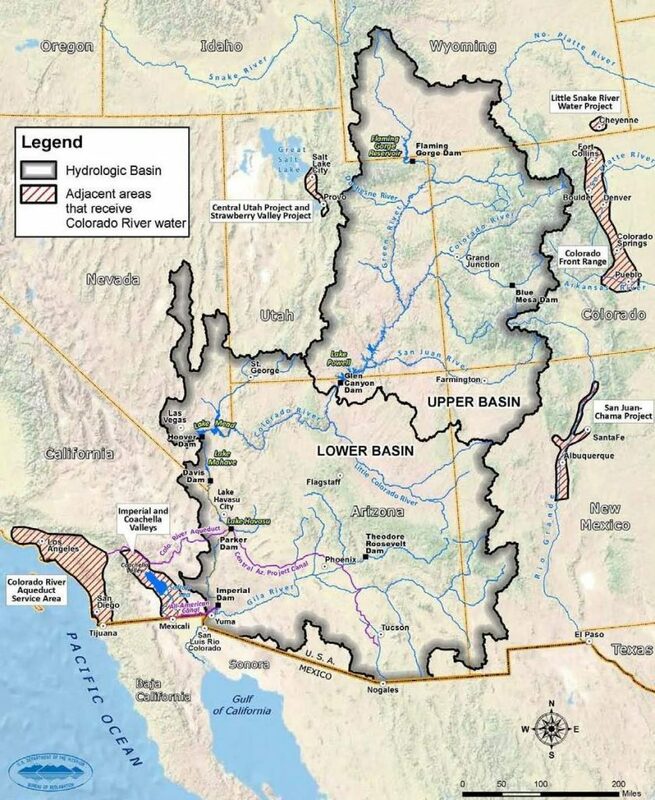 Looking at the map of the Lower Colorado River Basin and the state of Arizona, it becomes clear that as the Colorado River flows south from Hoover Dam, the area around Lake Havasu City and Parker, are critical water management areas for Arizona and California. For Arizona, the Central Arizona Project Canal begins its 336-mile journey to bring one of the primary sources of water to central Arizona. Also, the Colorado River continues past Parker Dam, to bring the primary source of water to the fertile agricultural valley of Yuma county. For California, the Colorado River Aqueduct begins its 242-mile water journey to the east side of the Santa Ana Mountains and provides one of the primary sources of drinking water for Southern California. 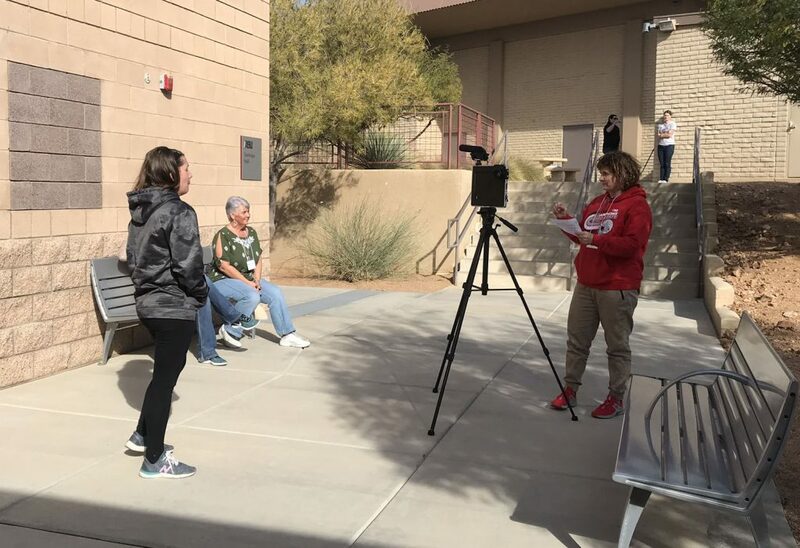 To help teachers and students gain a better understanding of the importance of water management in this region, our team of researchers and educators from Decision Center for a Desert City at Arizona State University, Tempe campus,visited the ASU Lake Havasu campus in Lake Havasu City, Arizona on December 1,2018, to train 21 grade 7-12 teachers from Lake Havasu City, Bullhead City, and Kingman on tools to integrate water education in science and humanities classrooms. Teachers learned about water in Arizona and used a water balance systems model developed by DCDC, called WaterSim Arizona. 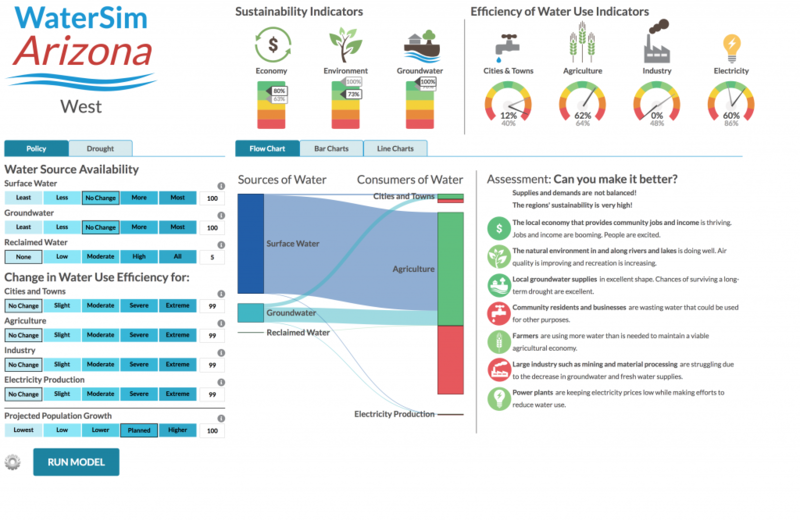 With this web-based tool, they compared different trade-offs associated with choosing different water policies and compared various water stakeholders. 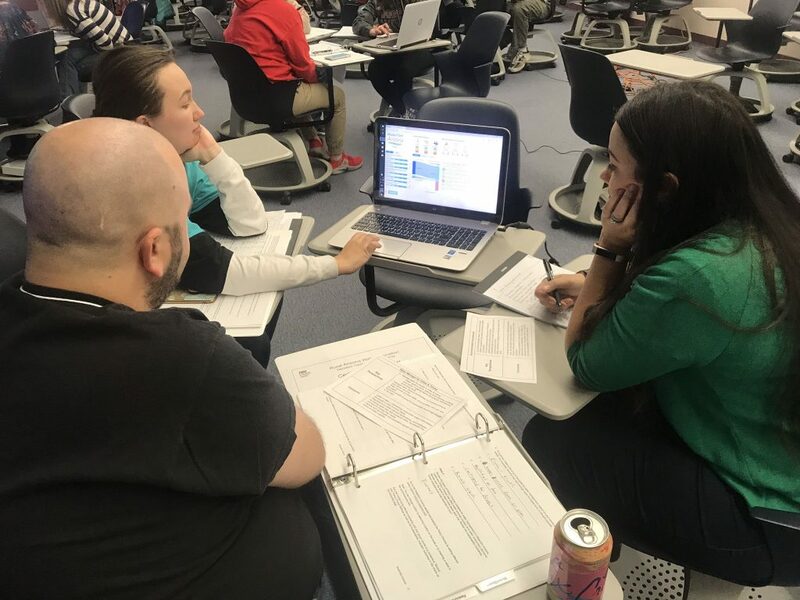 Teachers also learned about WaterStories, a platform for students to engage in discussions about local water sustainability by expressing personal stories about water in their culture and communities. Using recording equipment available to loan to teachers who attend our workshop, teachers recorded their own water stories to get an idea of what recording stories is like for their students. 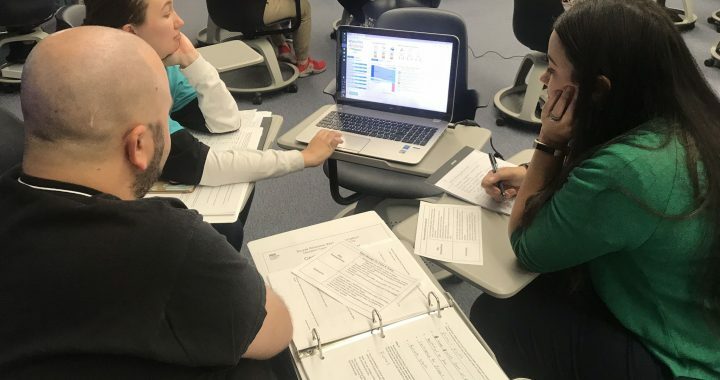 This project is supported by grants from the National Science Foundation and from the Ellis Center for EducationalExcellence of the Arizona Community Foundation. Established in 1978, the Arizona Community Foundation is a statewide philanthropic entity supported by thousands of Arizonans. Last year, ACF and its affiliates awarded more than $40 million in grants and scholarships, funding projects of some 3,000nonprofit organizations, schools and government agencies. Visit www.azfoundation.org to learn more.